How Do You Live After a Child Dies? 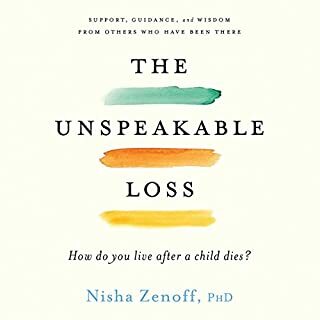 In The Unspeakable Loss, Nisha offers support, guidance, and wisdom from others who have experienced the death of a child, as well as her personal story after the death of her beloved 17-year-old son, Victor, and her insight as a grief counselor and psychotherapist. Charting the long path from the worst possible nightmare, shock, trauma, and overwhelming pain to a life that once again miraculously contains joy, love, and laughter, The Unspeakable Loss addresses the importance of self-compassion and self-care. The pain and shock when a child dies can seem unbearable. 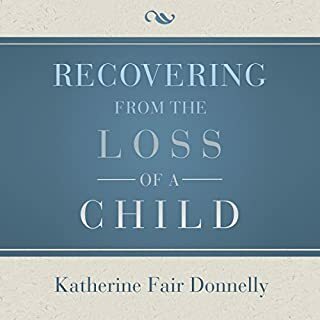 But expert-on-grief Katherine Fair Donnelly, who has suffered many personal losses, has gained wisdom and strategies for emotional recovery. By sharing, understanding, and accepting this tragic loss, bereaved parents, siblings, and others can cope with this intense grief. 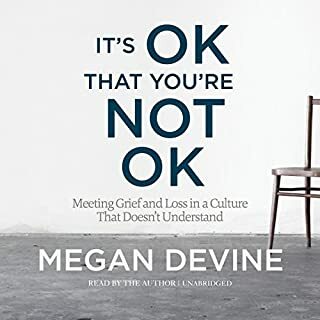 Megan Devine offers a profound new approach to both the experience of grief and the way we help others who have endured tragedy. Having experienced grief from both sides - as both a therapist and as a woman who witnessed the accidental drowning of her beloved partner - Megan writes with deep insight about the unspoken truths of loss, love, and healing. The death of a child is that unimaginable loss no parent ever expects to face. In Beyond Tears, nine mothers share their individual stories of how to survive in the darkest hour. They candidly share with other bereaved parents what to expect in the first year and long beyond. Written after his wife's tragic death as a way of surviving the "mad midnight moments", A Grief Observed is C.S. 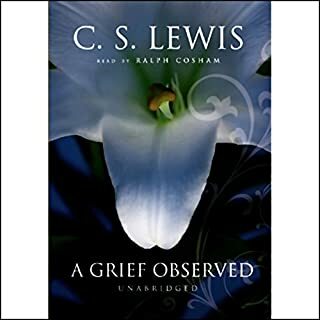 Lewis's honest reflection on the fundamental issues of life, death, and faith in the midst of loss. This work contains his concise, genuine reflections on that period. 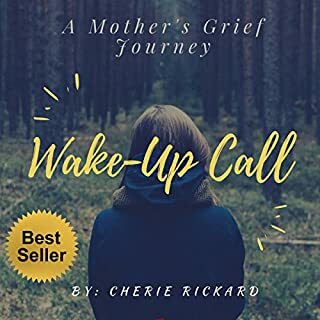 Wake-Up Call is a moving, inspirational voyage inside the shattered life and broken heart of a mother who tragically and unexpectedly loses her teenage son in a one-car accident. In ways unexpected, practical, and real, Cherie gives anyone who has ever experienced the devastating loss of a loved one, real-life, hard-core, often tough spoken but love-laden and extremely practical advice on how to turn life's most tragic blows into triumph by trusting in God and his word. The death of someone we hold dear may be inevitable; being paralyzed by our grief is not. A growing body of research has revealed our capacity for resilient grieving, our innate ability to respond to traumatic loss by finding ways to grow - by becoming more engaged with our lives, and discovering new, profound meaning. More helpful than I ever imagined! Offers a moving and humane approach to understanding life's windstorms. Raises many questions that will challenge your mind and test your faith regarding the ultimate questions of life and death. Before May 31, 2008, September Vaudrey's life was beautiful. But on that day, with one phone call from the ER, her whole world - everything she knew and believed - was shaken to the core. Katie, her 19-year-old artist daughter, had been in a car accident and would not survive. How does a family live in the wake of devastating tragedy? When darkness colors every moment, is it possible to find light? Can God still be good, even after goodbye? Learning how to cope with the loss of a child is an extremely difficult and painful experience. 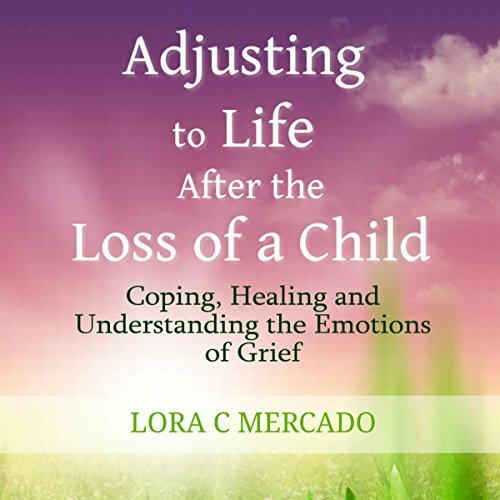 The author, Lora C. Mercado, lost her son in 2003 due to a congenital heart defect. 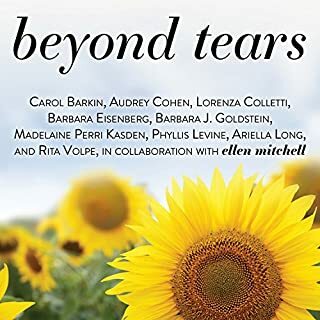 Throughout this book, she will share with you some of the things that have helped her through this journey of grief and healing, as well as other valuable tips that she has learned through research and other parents who have lost a child.